UKABC will be hosting an ASEAN Outlook 2019 that will provide a business useful forward outlook on the ASEAN priorities and economic indicators for the year ahead in Southeast Asia. What are Thailand’s plans as Chair of ASEAN 2019? What can we expect with the Thai general election on 24 March? ASEAN economic outlook for 2019, including an update on the CPTPP. Discussion moderated by Paul Scully MP, Prime Minister’s Trade Envoy to Brunei, Myanmar and Thailand. 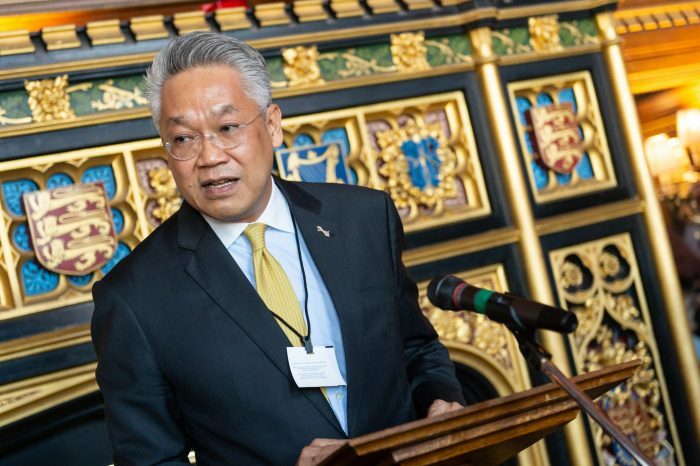 The discussion will build on the recent visit of the ASEAN Secretary-General and will seek the participants’ views on how UK business can be further involved in ASEAN Economic Community reforms. We will also hear from PwC on their involvement in the economic reform programme that was announced by FCO Minister Mark Field MP at the Gala Dinner for H.E. Dato Lim, the readout is below. Thailand’s theme for its Chairmanship is ‘Advancing Partnership for Sustainability’. The theme has three main components. The first is ‘Advancing’. ASEAN will look towards the future and move forward together dynamically, making use of technological advances from the 4th Industrial Revolution, and enhancing its competitiveness. Second, is ‘Partnership’ both within ASEAN, with Dialogue Partners and with the international community by strengthening the concept of ‘ASEAN Plus One’. It will reinforce the ASEAN-centred regional architecture and increase economic cooperation for the benefit of all while addressing global issues such as climate change. To strengthen partnership, it is important to promote connectivity, infrastructure, rules and regulations and people to people links. The third is ‘Sustainability’. Thailand wants ASEAN to build sustainability in all dimensions, be it sustainable security, sustainable economic growth, which includes the green economy and sustainable development. Visit Thailand’s ASEAN 2019 website here. This event is for UKABC’s Corporate Partners and invited guests. To express an interest in our Corporate Partnership programme please contact allen.lai@ukabc.org.uk.